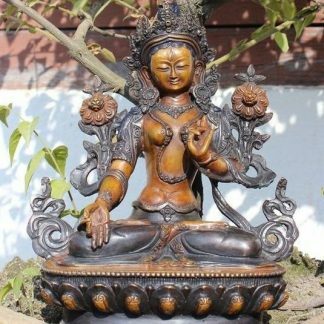 This Statue is Oxidized to give two color Antique finishing. 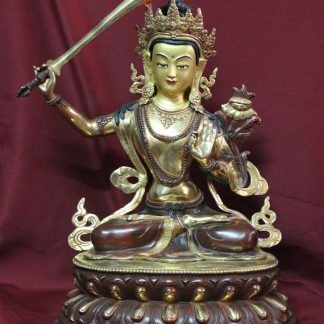 Click Here for Detail Majushri? What does it mean? 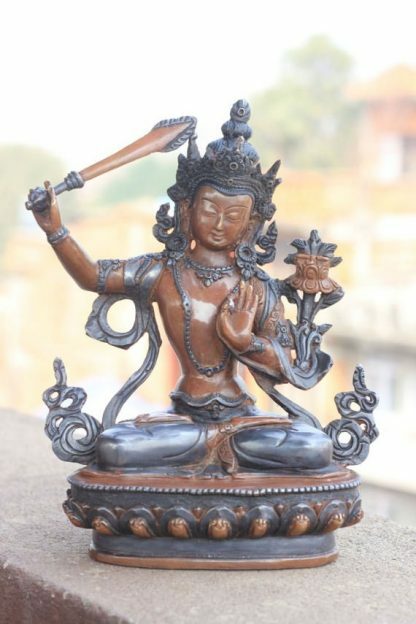 This particular Manjushri Buddha Statue fits perfectly in the category of Home and Decor. You can simple decorate your living room or even your personal room for decoration and spiritual purpose. This one is even perfect for outdoor places like your balcony or garden. 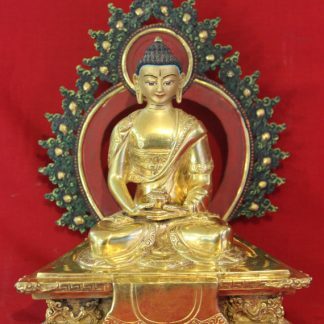 Making of a Buddha statue is a lengthy process which requires great skill and time. Sculpting of a large piece can take up to 6 or even more months and several artisans to work on it for accomplishment. 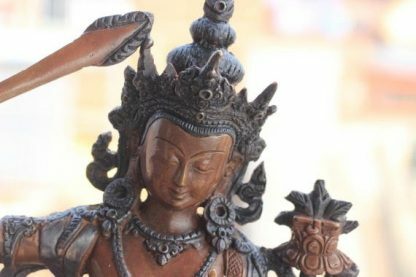 In ancient times, the methods of making statues were kept secret among few families in Patan and Kathmandu. The skill was passed down to generation and was guarded from those outside the family circle. 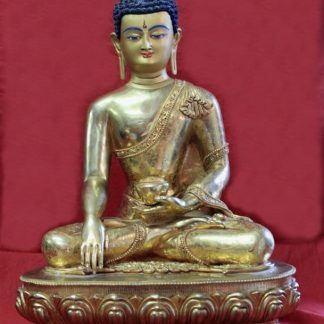 If you want to know more about check here making of a buddha statue. Do you need products in wholesale? We can help you to get items in bulk. We have many different product lines specially Wholesale Buddha statues, singing bowls, ritual items, silver jewelry and thangka paintings.Of course for wholesale dealing MOQ is must otherwise it is not considered wholesale. For more check our wholesale section. 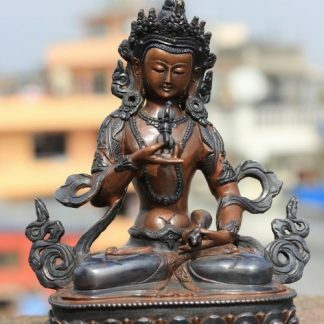 This wonderful statue is really a joy for the heart! it is exquisitely made but unlike many beautiful statues but unfortunately quite neutral in their expression, to the outer beauty of the form there is here also the inner beauty of the expression: it is expressing the joyful and gentle glory which the meaning of the name: Manjushri.. it is the work of inspired artist designers and beautifully crafted. The provider has taken as I know the utmost care to ship it the safest way and in my best interest! in summary a first class statue with a first class service: I am more than satisfied,I am grateful, many thanks!